Hide the evidence of a long night with these tricks! We’ve all been there. You stay up all night partying—or binge watching your favorite show—on a week day, and wake up the next morning feeling and looking like a hot mess. Prep your skin by gently patting on your trusty eye cream to awaken the area. 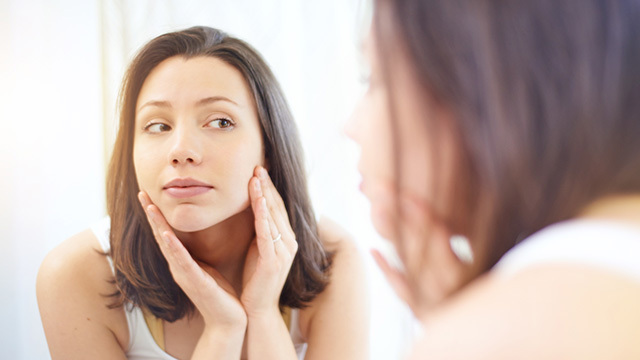 Remember, the more moisturized your skin is, the healthier it looks. Use your ring finger—it’s the gentlest finger you have—and tap on your eye cream. Applying eye cream also lessens the chances of your concealer creasing. Tip: leave your eye cream in the fridge, it will feel amazing against your parched skin. Take a brightening concealer and draw an inverted triangle under your eyes. Blend away with your finger or a makeup sponge. This trick will draw in more light to the center of your face, making you look fresher and brighter. But if your under eye circles are really dark, consider using a peach-toned concealer to neutralize the area first. Dab a tiny bit of peachy pink shimmery eye shadow on the inner corners of your eyes to open up your peepers. Take the same highlighter and blend it onto your brow bone to lift your brows as well. Now no one has to know you barely had any sleep the night before! This is THE most important trick that will instantly make you look awake and ready to take on anything. Curl your lashes and add a few coats of mascara on your upper and lower lashes to open up your peepers—trust us, it makes a HUGE difference in your look. 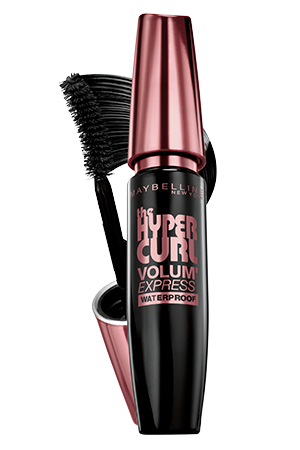 We recommend the Maybelline Hypercurl Mascara because it leaves the fringes looking full and fluttery, but never clumpy. It’s formulated for short and hard-to-curl Asian lashes, waterproof, and very affordable at only P199--but for the month of June, you can grab this kikay kit staple for only P149! It's literally everything every Pinay wants in a mascara. Check out Maybelline's Facebook page for more beauty steals!